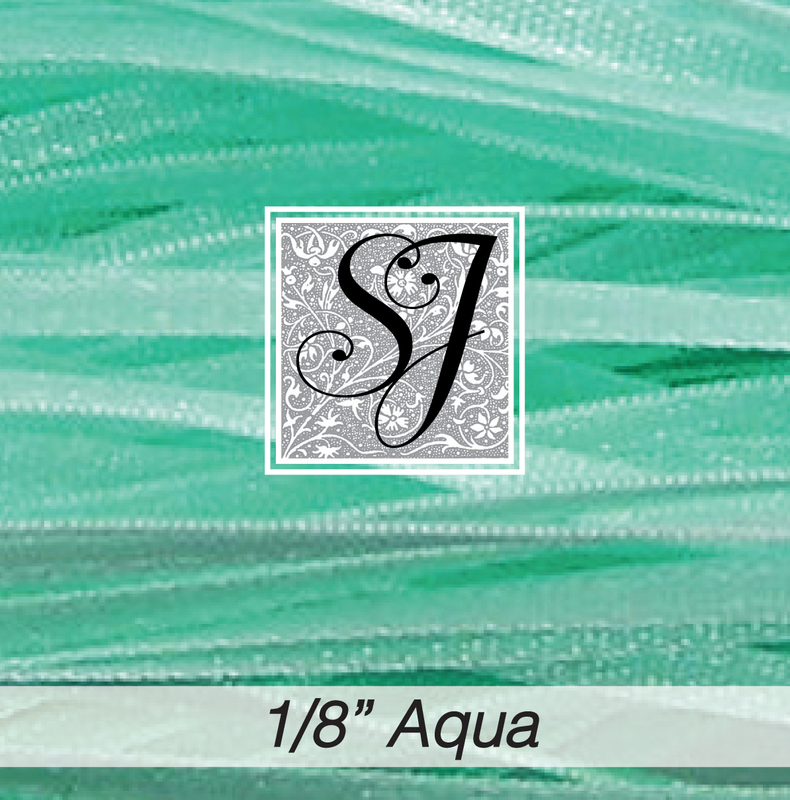 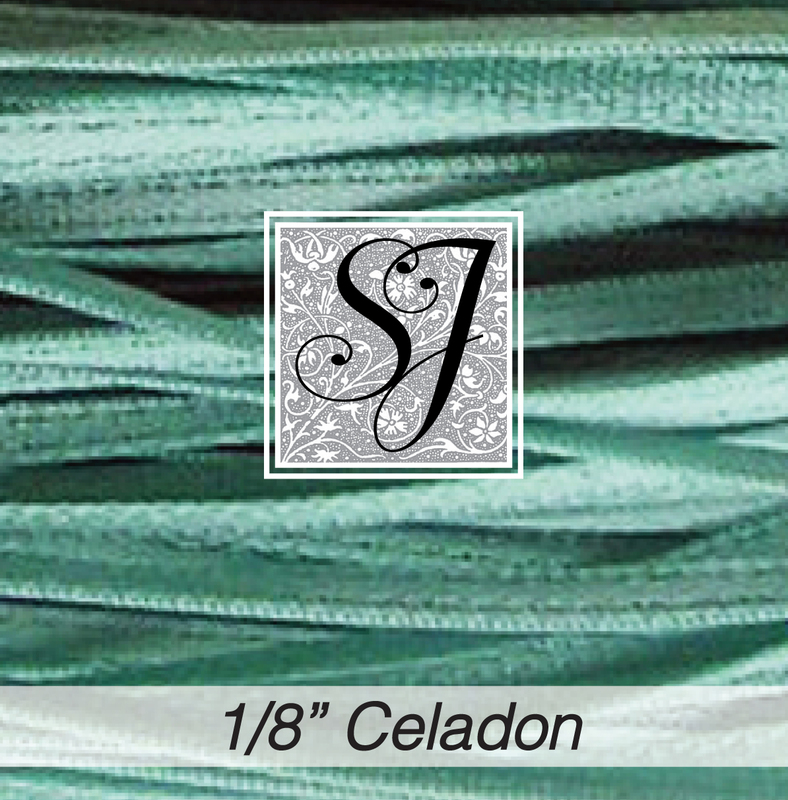 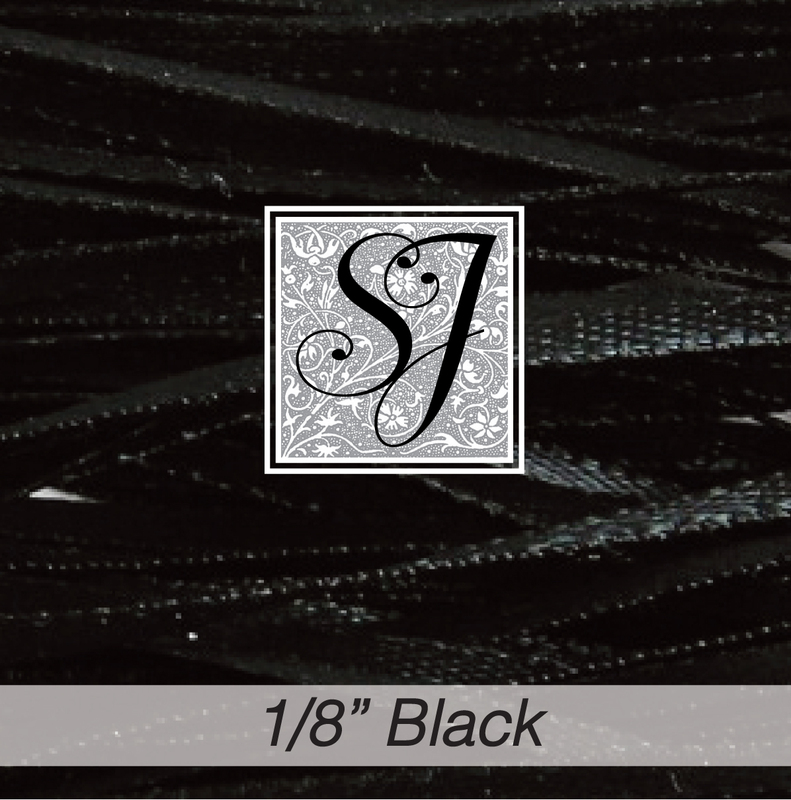 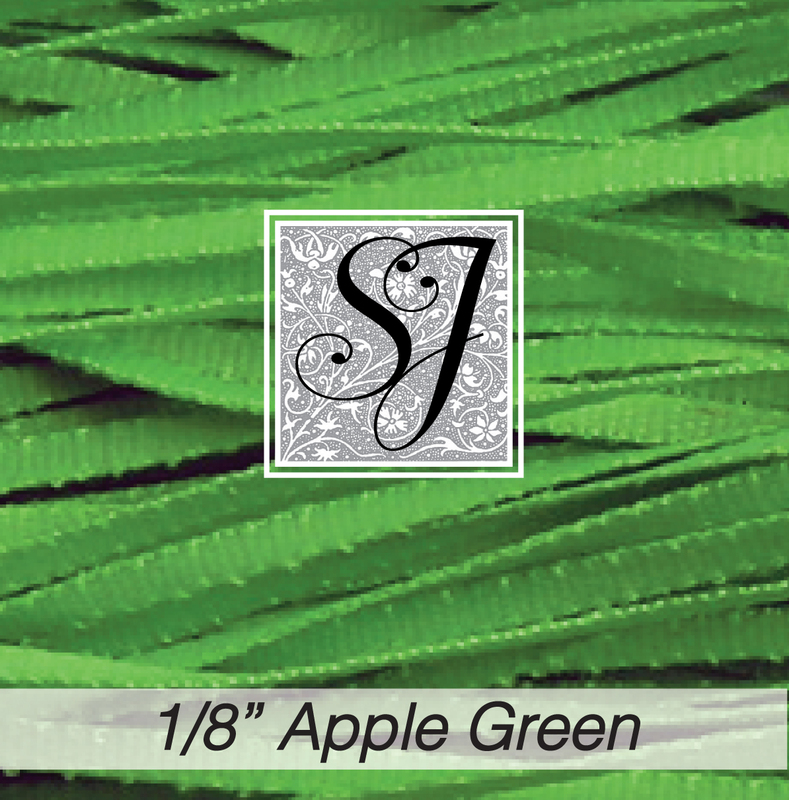 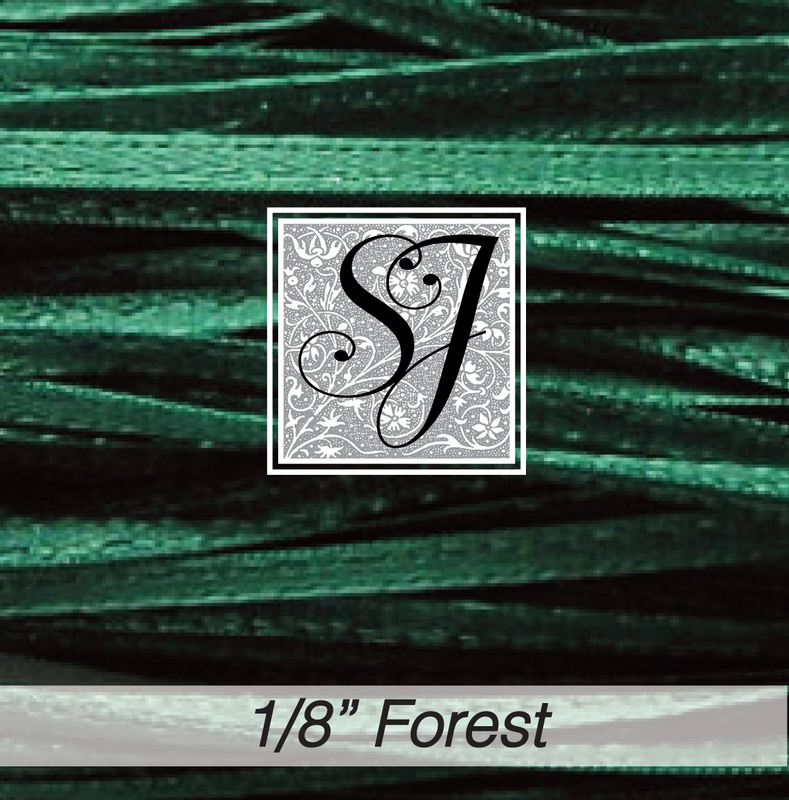 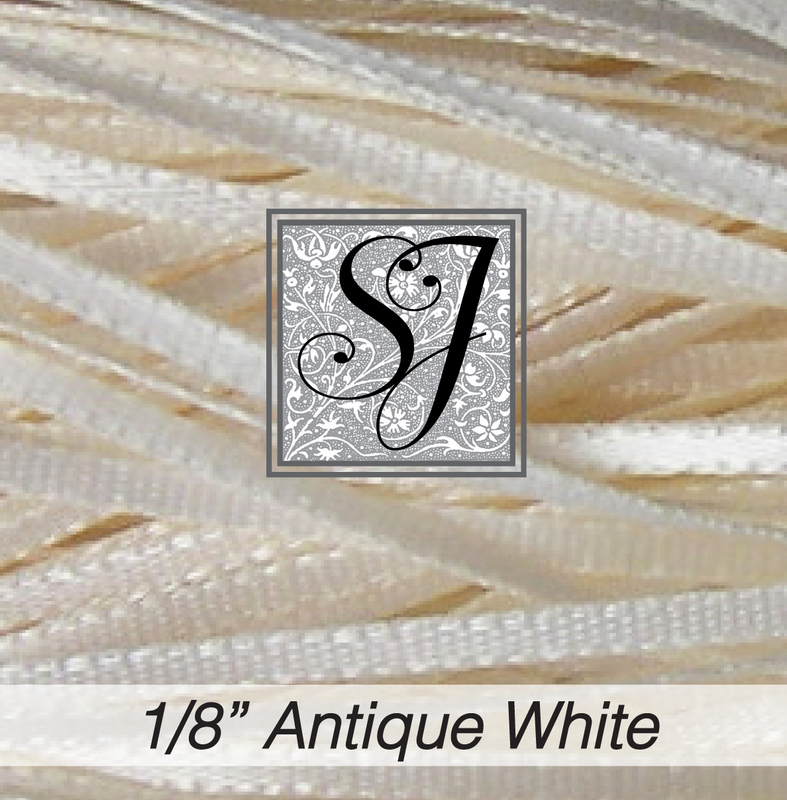 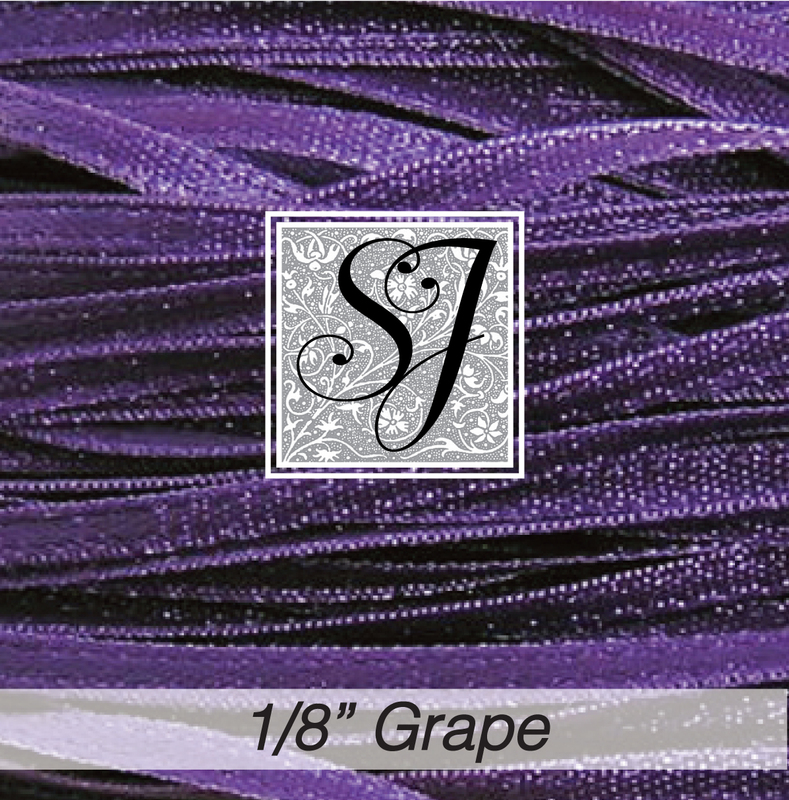 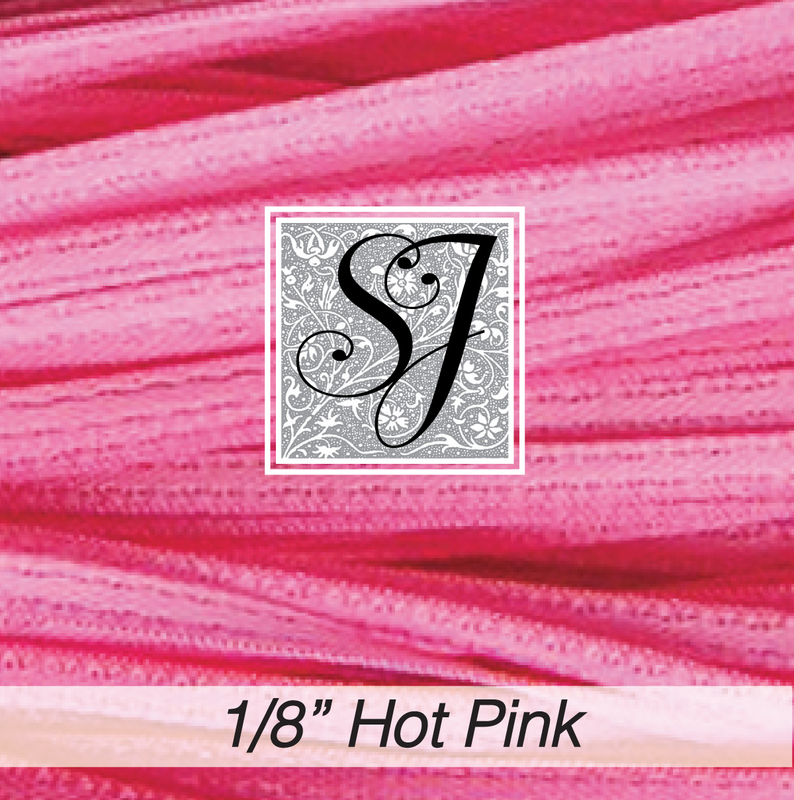 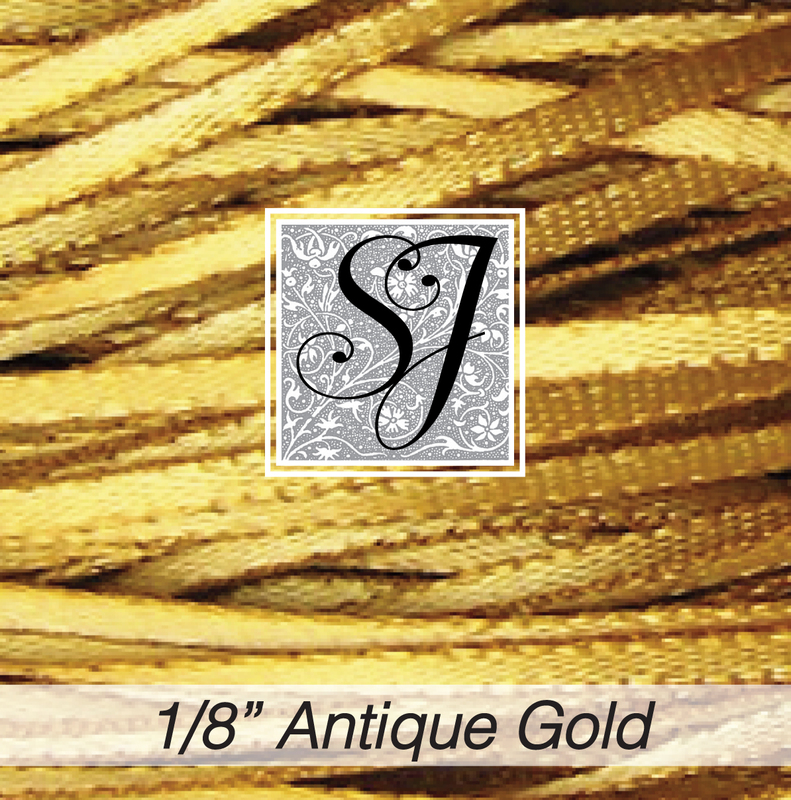 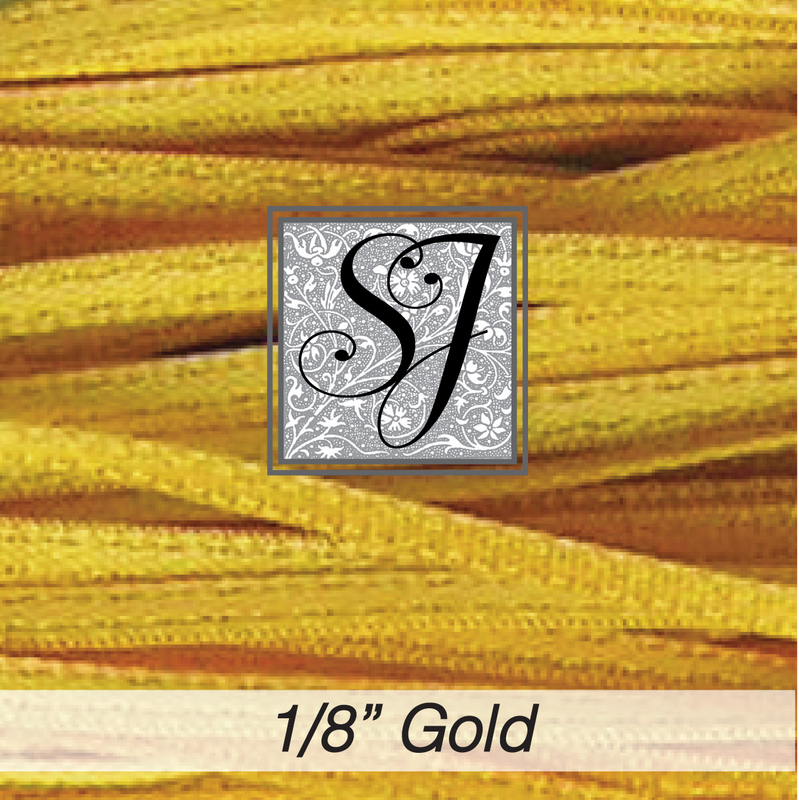 SJ Designs 1/8″ wide double-faced polyester satin ribbon is made exclusively for us in the USA, by a mill that has been family owned for over 100 years. 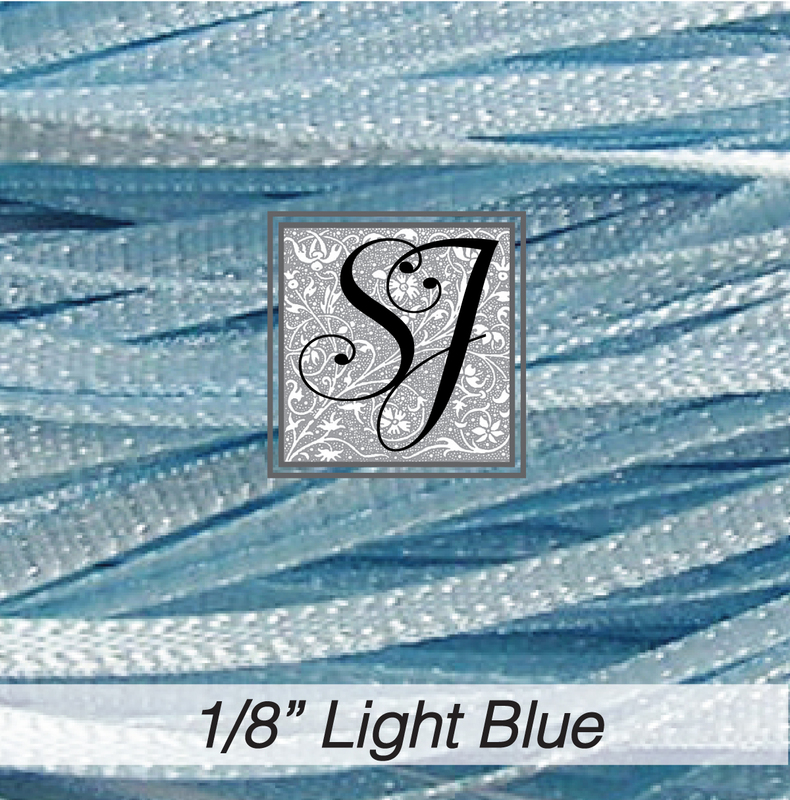 This is a true fabric ribbon with woven edges rather than the cheaper “cut-edge” ribbons made overseas. 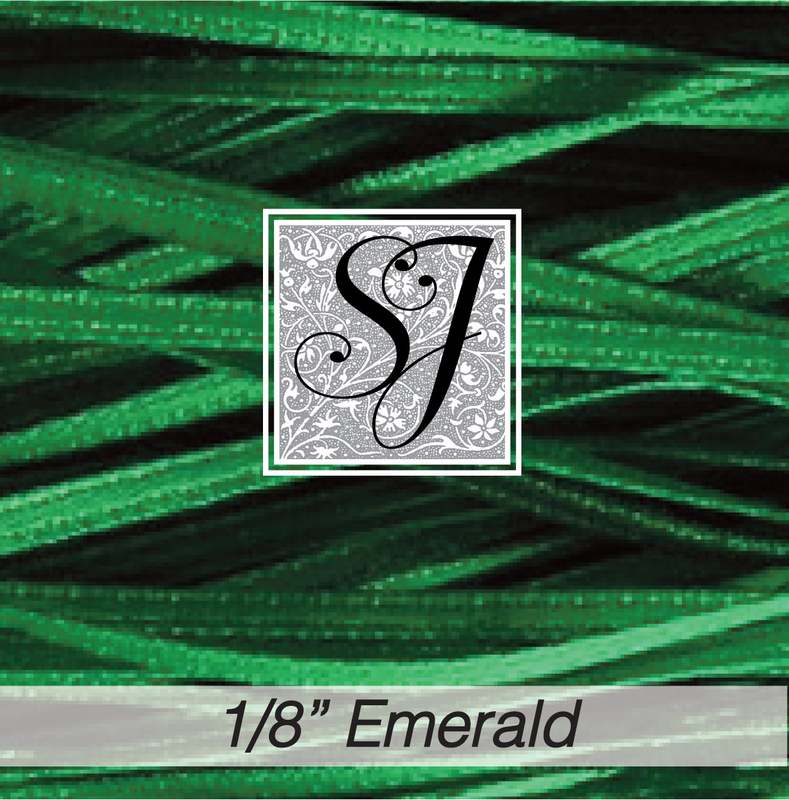 Double-faced means either side is the “right” side! 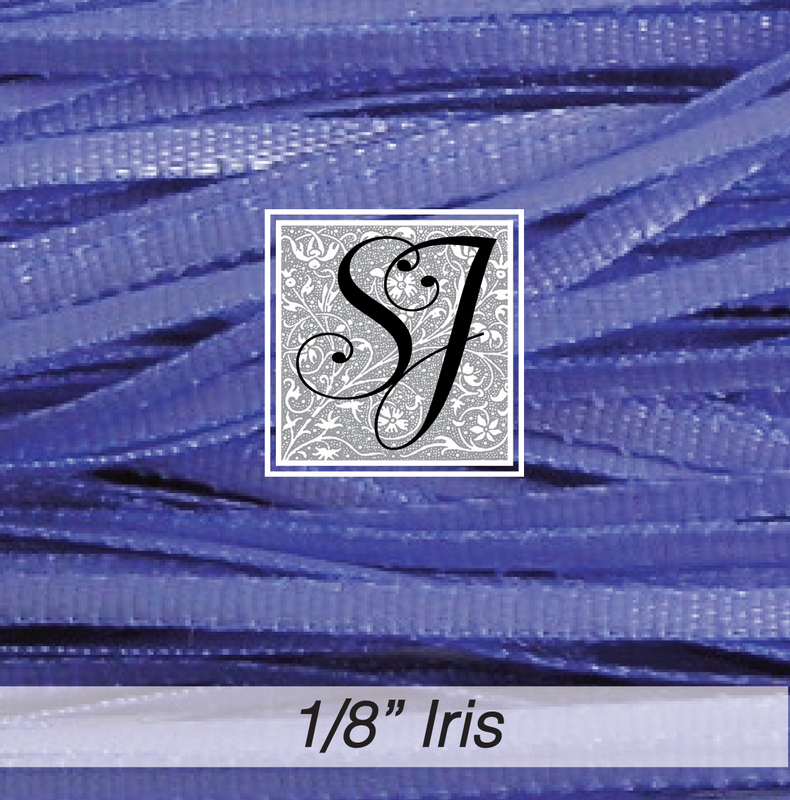 These colors match the narrower 1/16″ ribbon. 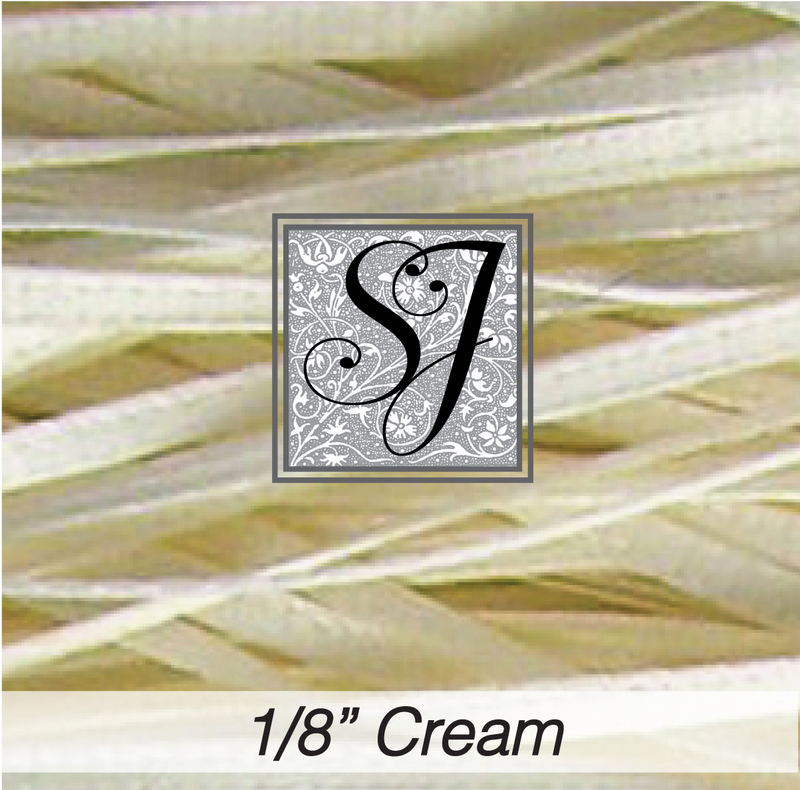 It’s perfect for couching on canvas but still soft and supple enough to use for embroidery. 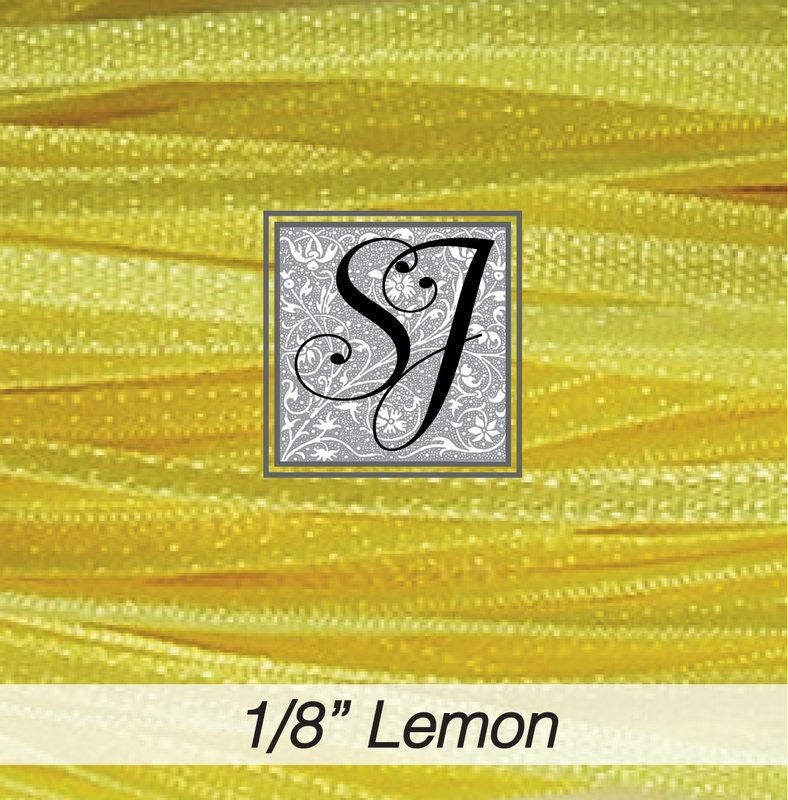 Washing the ribbon in hot water will make it even softer, and pre-washing is recommended if the ribbon will be used on an item that will be laundered frequently although shrinkage is minimal at 1-2%. 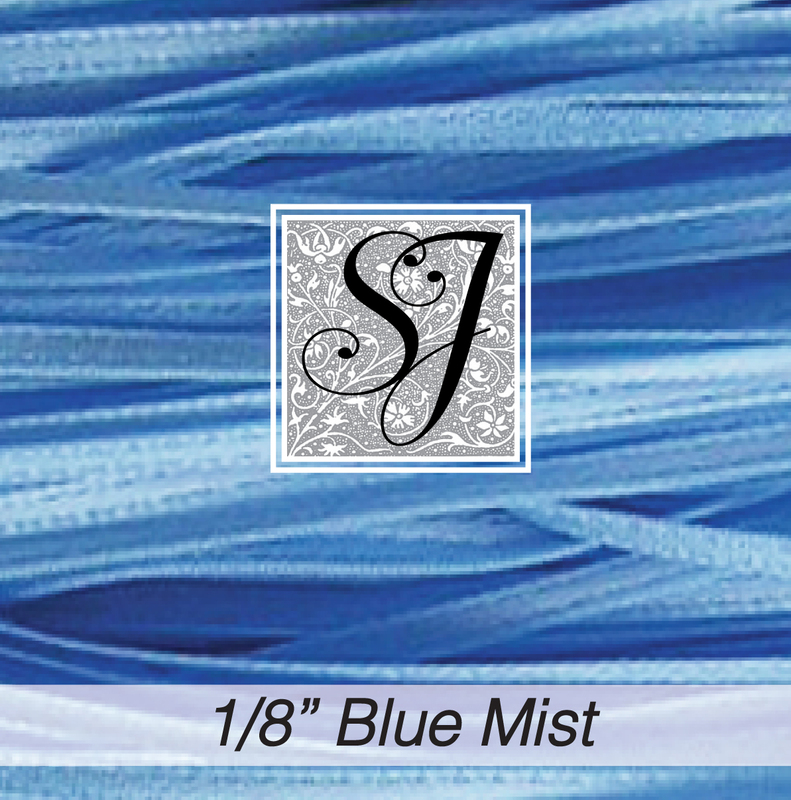 It irons beautifully with steam and a press cloth.